This is a new topic that was created on April 5th, 2019. This is a reply being sent to Vinny’s post. I am sending this via email. Second topic creation for testing purposes. This is a new topic being used for testing purposes. Replying to this forum post. Replying to this response via email. 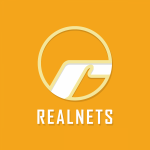 Creating a new forum topic for the 3rd time and have “Notify me of follow-up replies via email” checked off for the Realnets users. I am replying to the 2nd topic that was created via email from [email protected]. This is a reply to a reply. This topic was created after the jlee user subscribed to the forum. This is a test topic created on March 11th to check the Subscribe functionality and reply email notification. Here’s a test post to make sure that posts are being published. This is a reply to the test topic.